My "limited press" sounds poor))) FLAC sounds better and its not the equipment reason. This pressing sounds amazing. Not a whole ton of surface noise to speak of either. So how can I tell which is The version to get? I want the Lp but don’t want the crap pressing. Hi there, if somebody is not bothered about this press how it sounds, I am offering my vinyl free - just pay for shipping. Let me know. I have the same problem, very poor quality. Noise, especially the last track. My copy of this this is dead quiet and sounds really good. Dating the matrix info may lend some insight as to multiple runs of this album to second heartbroken said. This is something else. Starting off with a weird mix of drums, breakdowns, hammond organ and whatnot, it becomes a great track with beautiful soloing. 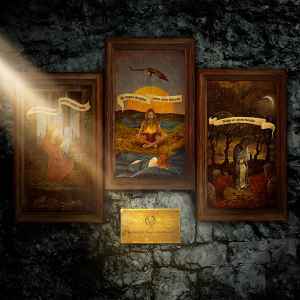 One of my favourite Opeth tracks(Eternal Rains Will Come).”Moon above, sun below” is another favourite, with great acoustic parts, and when Mikael hits those high notes it’s really stellar. But to me, “River” is the best song off the album. Not that it’s complex, but the opposite. Beautiful vocals, and a very distinct guitar sound. And “Faith In Others” is perhaps the saddest song Opeth has ever written. Since this album seems to have sound issues with many pressings: got the version with the 2nd Matrix variation; sounds stellar.